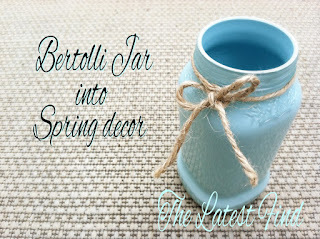 Back in the Spring, we posted a series about how to re-use empty food jars and turn them into decor for your home. 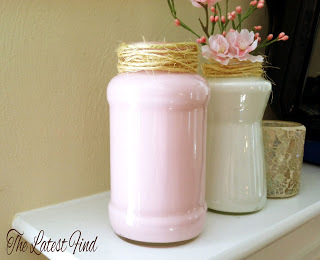 Using acrylic paint and a few other materials, we turned the empty glass jars into vases. Now that we're approaching the holidays, we are decorating for Christmas! 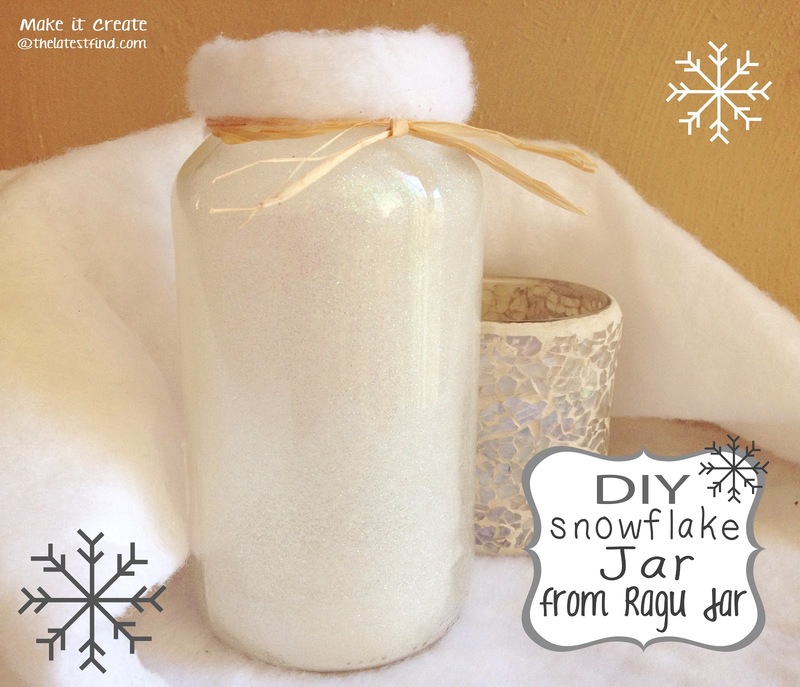 So we're re-using spaghetti sauce jars again, and turning them into "Snowflake" Jars! 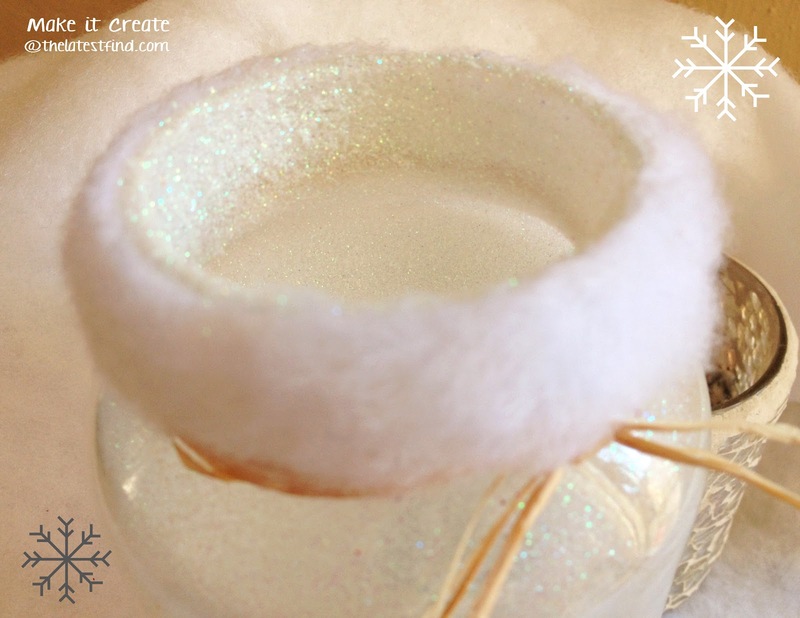 I knew my little ones would think it was a fun idea to have a "keepsake jar" for snowflakes, and the sparkly white glitter kinda reminds me of snow...thus a "snowflake jar". 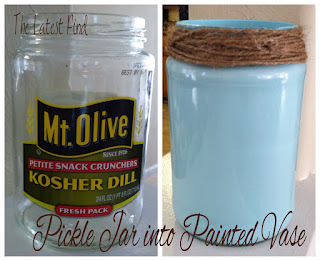 A sealer may also be used once you're done with the inside of the jar. To start off, I wrapped some napkins around the outside of the jar, and secured them with a ponytail holder around the top of the jar, to keep the spray adhesive from getting on the outside of the jar. 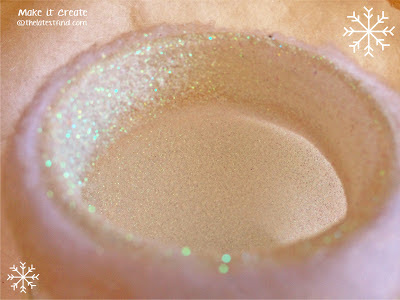 I sprayed a light coat of adhesive through the opening of the jar, turning the jar as I sprayed to coat all the way around. Then I applied the glitter straight from the container, like I was shaking salt into the jar (rather than dumping glitter into the jar...it may pile up in the bottom). 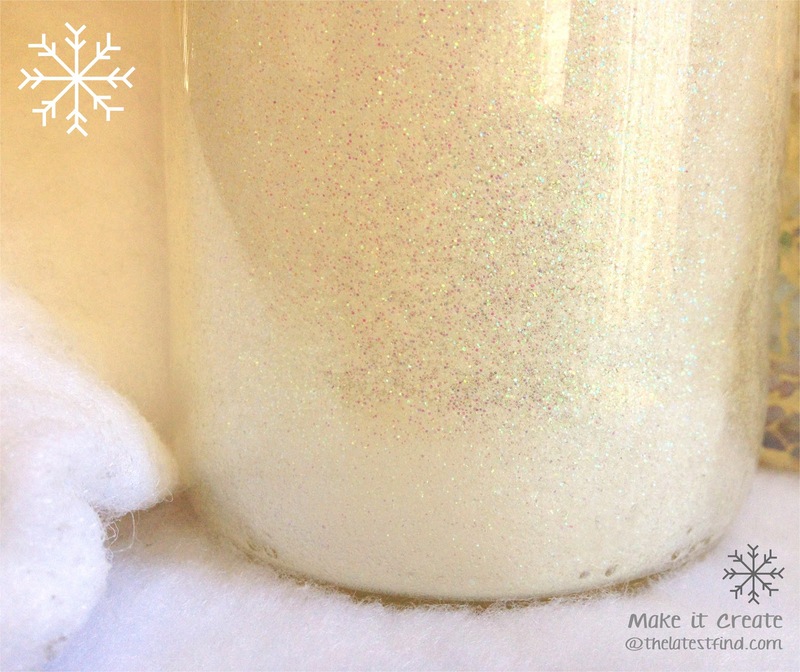 I also turned the jar as I shook glitter into it to get a nice even coat inside. 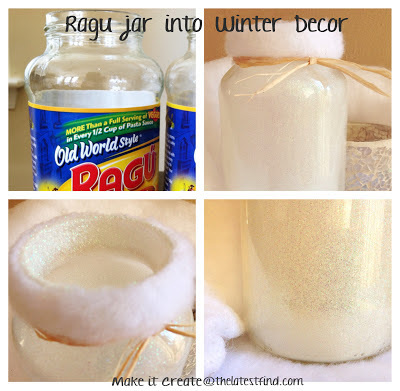 I actually repeated this process a few times, just to make sure the jar was nice and covered inside, and sparkly! Once that was dry, I cut a piece of batting to add a cotton "snowy" touch and applied it around the rim of the jar. I finished it off with a piece of raffia! I've been going all out with glitter this holiday season, and have more fun and inexpensive Christmas projects to share! 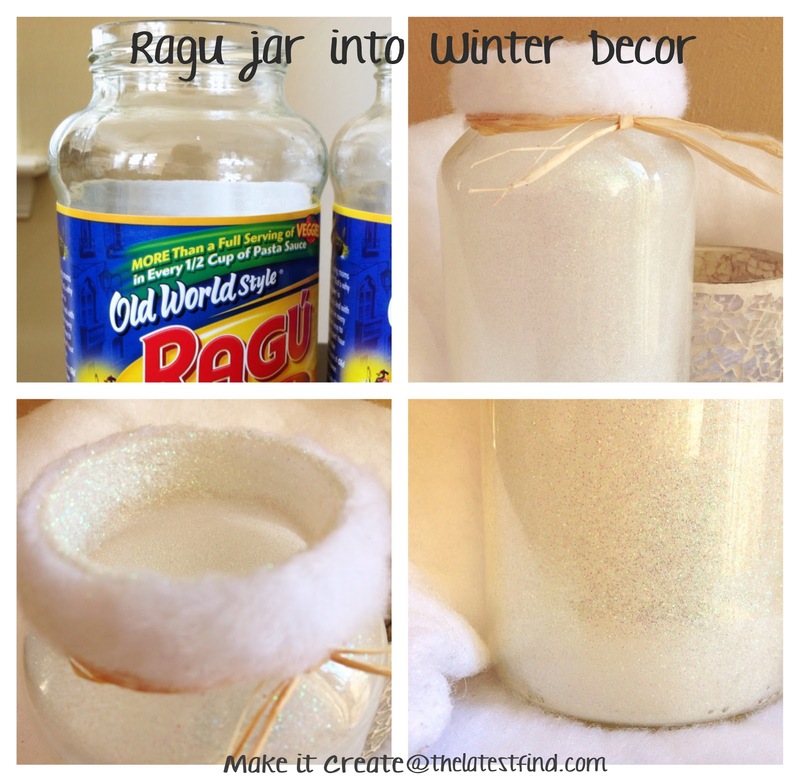 Stay tuned, more winter/Christmas decor coming up! 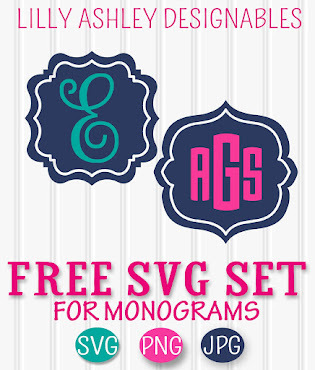 Wow that's pretty. 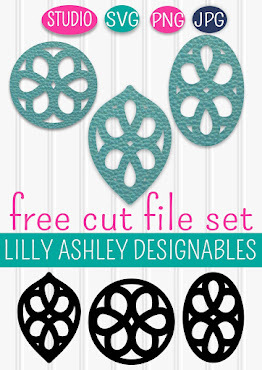 I think that I am going to pick up some gitter and see what I can use it for.